A California driver had a blood-alcohol level nearly three times the legal limit when she caused the death of a motorist who was heading home after visiting her premature newborn twins in the hospital, according to authorities. Alexia Cina, 21, was arrested Wednesday and charged with vehicular manslaughter for the tragic crash earlier this month that took the life of 37-year-old Katie Evans, a mother of six. The vehicle driven by Cina crossed the center median and "collided head-on" with Evans' car, according to the Santa Clarita Valley Sheriff's Station. 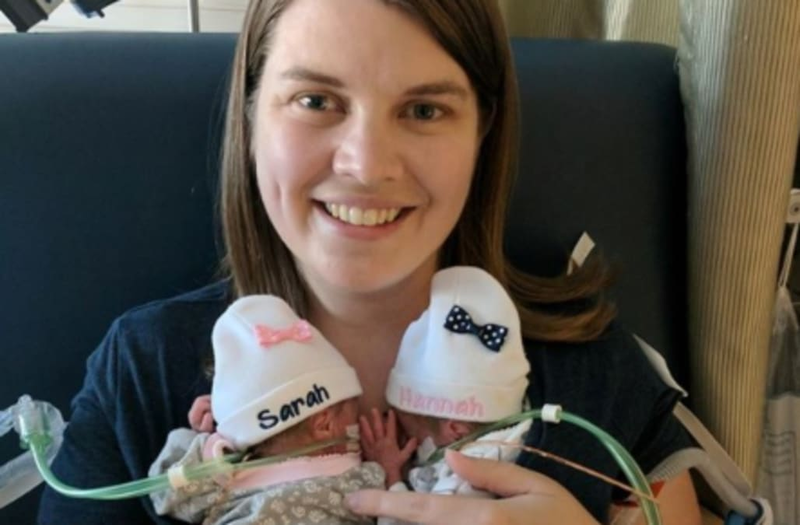 Evans was nearing her home in Santa Clarita after visiting 8-week-old daughters Hannah and Sarah when the fatal collision took place. Hannah and Sarah had remained in the hospital after being born prematurely. "Katie couldn't go a day without visiting her brand-new twin girls in the hospital," read a tribute on her YouCaring page. "She was a devoted mother, sister and wife and will be immensely missed." Toxicology reports revealed that Cina had a blood-alcohol level of .21, well above the legal limit of .08. In addition to manslaughter, she was charged with driving under the influence. "Obviously, there are consequences when things happen," Katie's husband Jacob told the Signal in Santa Clarita Valley. "But I don’t wish any more ill on anyone. I am trying to focus on my family. I’m trying to help my family heal. "We left this morning to bury my wife," he said, telling the newspaper that the funeral will be held on Friday.